Christmas gifts from Just Simple Enough! And, no, not the gift of homework. The gifts of song and movie! Song. An original song written by a graduate student about graduate student-supervisor meetings. It’s a catchy tune! Click Here. Movie. This is a movie that I took in 2009 while attending a Mathematical Biology Summer School in Botswana. Click here. (Unfortunately, I encountered some technical difficulties uploading this to YouTube, but it’s still watchable, albeit in micro-mini). 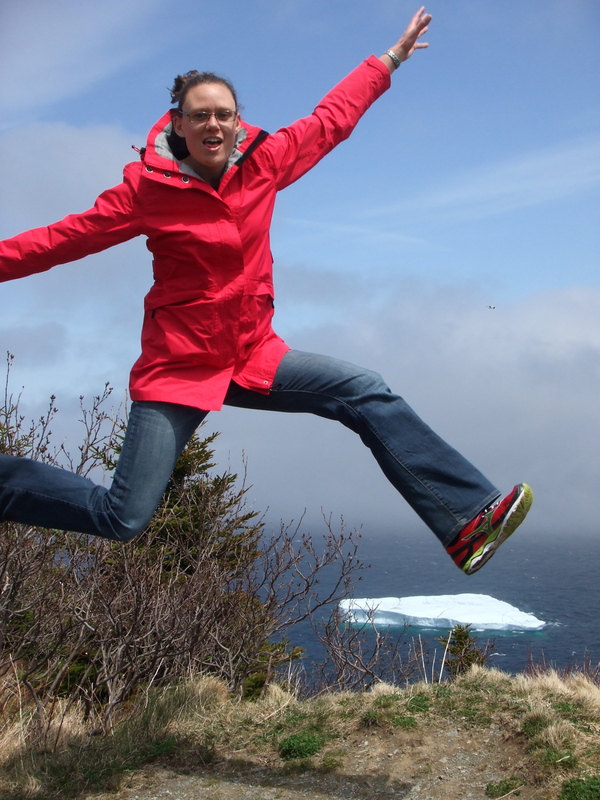 Several faculty at MUN have photos of icebergs on their websites. Luckily, I was able to get a jump start on this during my recent visit. A non-zero abundance of icebergs? If you said Memorial University (MUN), then you win. You’ll find it all in St. John’s, Newfoundland (a.k.a. The Rock). If you, or someone you know, are interested in graduate studies at MUN, please visit my website. The angle between the centre of the snail and the end of the shell changes at a constant rate – like the second hand of a clock which moves at a constant rate of 360-degrees per minute. I was hoping that we could use this simple model to do a couple of quick experiments. Firstly, can we validate the hypothesis that snail shells are logarithmic spirals using something like a Turing test? That is, among a set of spirals are blog-readers going to pick out the logarithmic spiral as being snail-like? Secondly, since the art of model derivation is subjective, I want to solicit opinions on this particular model derivation – to see if everyone has the same instinctive appraisal of model assumptions or if there are a range of different tastes on the matter. 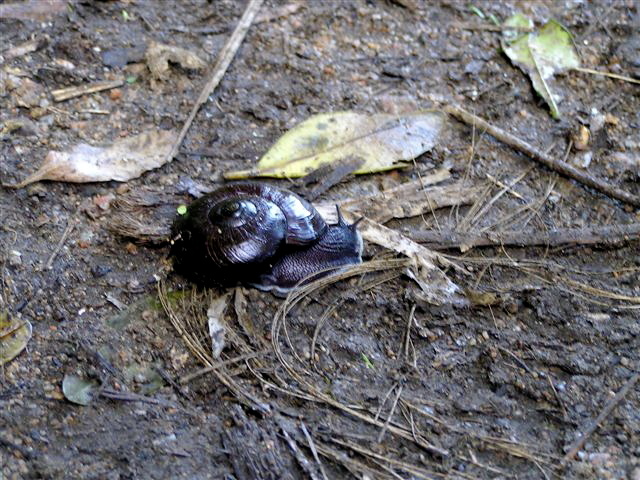 … and after you’ve voted be sure to go check out The Atavism for a nice explanation and some great snail pictures! 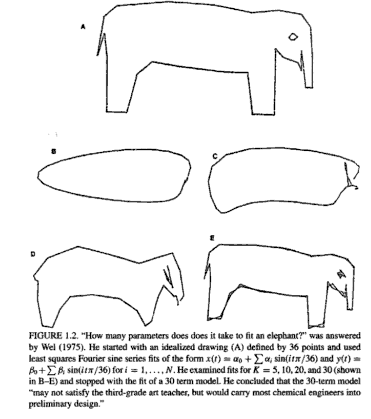 Just because it’s fun and because I’m still not on the other side of my blog holiday, here’s a nice picture of an elephant from Burnham and Anderson (2002) who got it from Wei (1975). Burnham K, Anderson D. 2002. Model selection and multimodel inference. Springer, USA. Wei J. 1975. Least square fitting of an elephant. Chemtech 5: 128–129. In relation to multiscale modelling, a category of problem that receives a good amount of attention is understanding how collective (group) movement arises from movement rules defined at the individual level. For example, the direction of each individual’s next move might depend on where that individual’s nearest neighbours are. What type of rules are necessary for the group to stay together? If the group stays together, what does the collective movement look like (directed or meandering)? 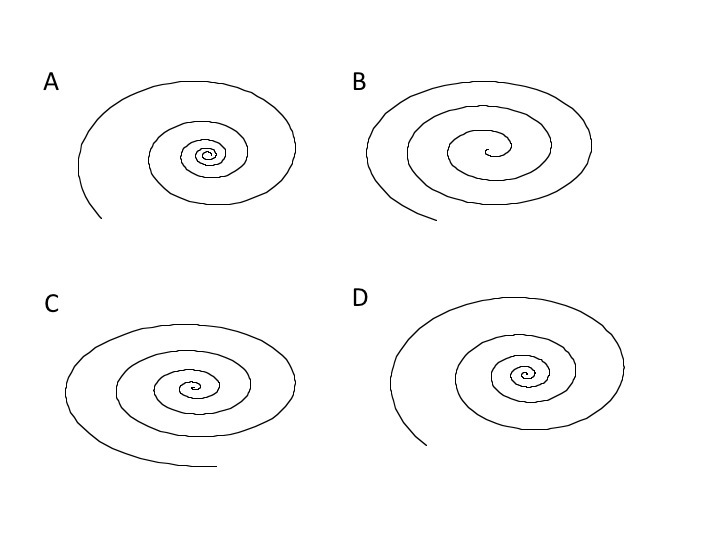 What type of individual movement rules are needed to produce a Sheep cyclone? Bonus question: How close together do the parallel walls (relative to the car width) need to be? Fig. 1. Occassionally, I have wanted to derive a mathematical model for basketball, however, the complex nature of the decision-making process in basketball makes it prohibitively difficult for me. Let me explain. 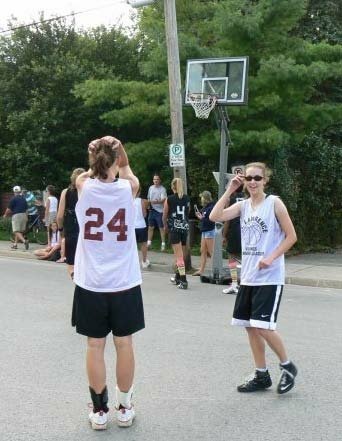 When I think about basketball, I think that as a coach your job is (partly) to invent set plays that will increase your team’s chance of getting a high quality shot. This problem is spatial, game theoretical (i.e., it depends on whether the other team is playing a zone or a man-to-man defense) and it’s probably necessary to coordinate the movement of all five players (i.e., n=1 or 2 is fundamentally a different problem and so studying these simple cases is likely uninstructive). I know these types of problems are hard and so it seemed like too much work for me to derive a mathematical model for basketball. The above discussion is meant to illustrate that anything can seem complicated if you choose to look at it that way. ** After acknowledging the complexity of basketball, Skinner goes on to come up with a simple model of shot selection. I think that his conceptual approach is quite clever and I hope this is underscored by my admission that I had (naively) written basketball off as not something that was amenable to simple models. Fig. 2. 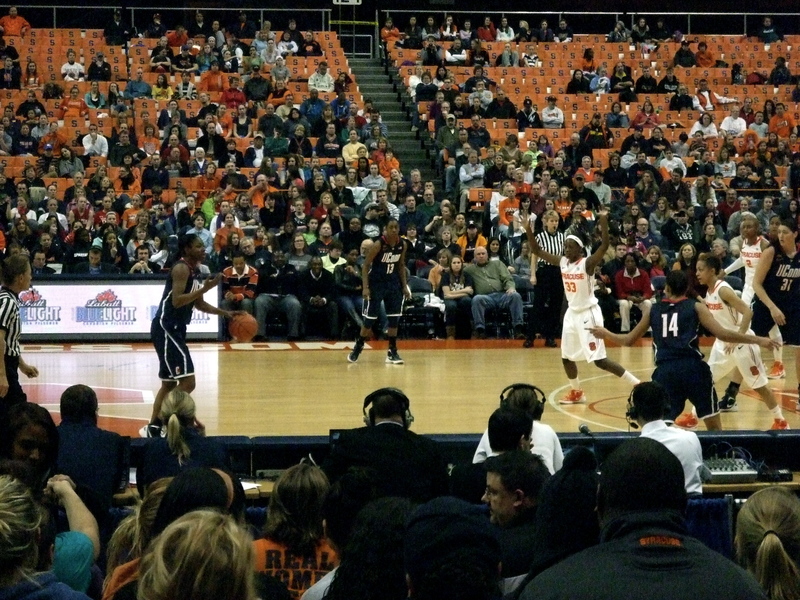 Tiffany Hayes (with the ball) of the University of Connecticut: dropping 35 points, shooting 11-for-15, and lending support to the controversial "hot hand" phenomenon (see Skinner (2012)). Given a shot opportunity of quality, q, should a player take the shot? The answer is that it’s a good idea to shoot when q > f where f is a threshold quality value that depends on n, the number of shot opportunities remaining in a possession and the article explains how n might depend on the team’s turnover rate, the existence of a shot clock and how fast the team moves the ball. Interestingly, the article reports that a team that moves the ball well has a higher n, and therefore a higher f, and would want to execute more passes (until the shot opportunity q > f arises) than a team with poor ball movement (i.e., lower n and lower f). This is counter-intuitive because you’d think that if a team passes the ball quickly, then they can shoot sooner. This is true, but the result isn’t about whether a team with good ball movement can shoot earlier in the possession and win, it’s about what’s optimal: it’s optimal to expect a better shot to arise during a possession if shots are created at a faster rate – and so the team with good ball movement makes more passes and they might even wait longer to shoot. Let’s revisit the model construction. You might say that if Brittany Griner gets the ball in the post then she should dunk it. That’s a good decision because this would be a high quality shot where q > f, but what I like about the model is that it abstracts away the name of the player, where the player is on the court, and what type of offense was run to generate the shot opportunity, and simply summarizes all this complexity into the one variable, q, shot quality. Another aspect of this paper that I like is the comparison with data from the NBA. In fact, section 4. of Skinner’s paper is solely dedicated to recasting f in terms of a shooting rate under the assumption that shot opportunities arise at a constant rate τ, so that the number of remaining shot opportunities n at time t is Poisson distributed. This is a nice final step because how would one ever know if q > f without these addition assumptions? My point is that q (shot quality) is not an especially useful quantity because how would one measure that? On the other hand, the shot rate can be estimated from a play-by-play box score which reports when shots were taken during the course of a game. So that’s basketball. Some time in the future we might talk about soccer or coffee, but I have some other posts to get to before that. There’s also a homework problem if you continue to scroll down. * I think I’m suggesting if the only ideas that you have involve deriving a complicated model, the solution might be to refine the question. Given a complex process does there necessarily exist a simple way of looking at it that will yield productive insight? The title of this post is a brief note to help you remember the blog address. Throughout the blog we use modelling in favour of the American spelling. Figure 1. 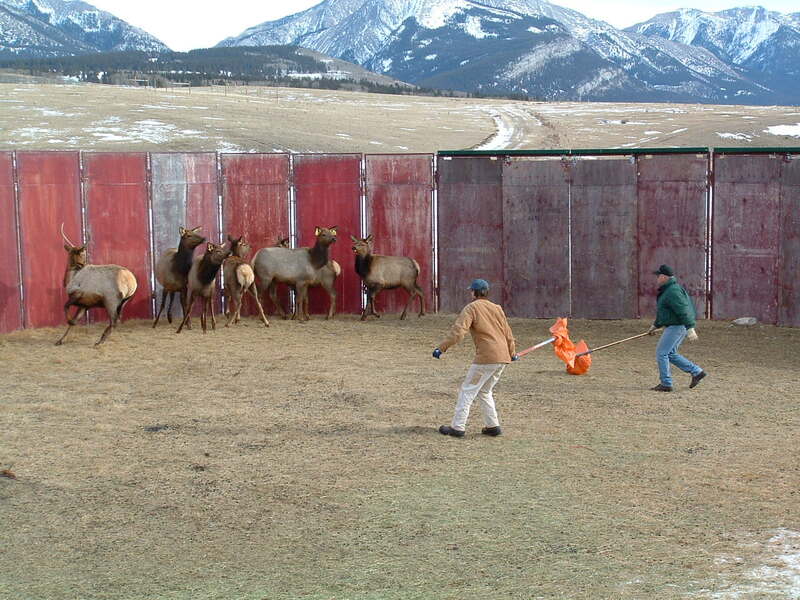 Rounding up the elk with hockey sticks: an emphatically Canadian approach to data collection. In the background is Warden's Rock marking the eastern boundary of Banff National Park. Do we need to derive mechanistic error distributions for deterministic models? Mechanistic models: what is the value of understanding?